To measure mantel size, measure parchment and add on 8 inches. All mantels can be customized with Hebrew and/or English embroidered inscriptions. When ordering with English inscriptions, you may enter the text in the notes section at checkout. For Hebrew inscriptions, please email, fax or call. Prices for inscriptions are .90 per letter and will not show during checkout. 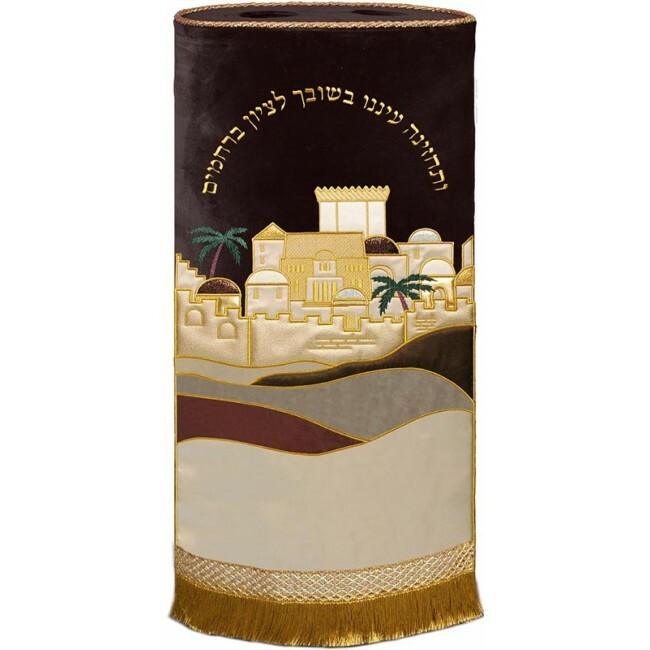 Torah cover with a frame of Jerusalem and the Posuk "Ki mitzyon tetze Toroah udvar Hashem myrushalai.. 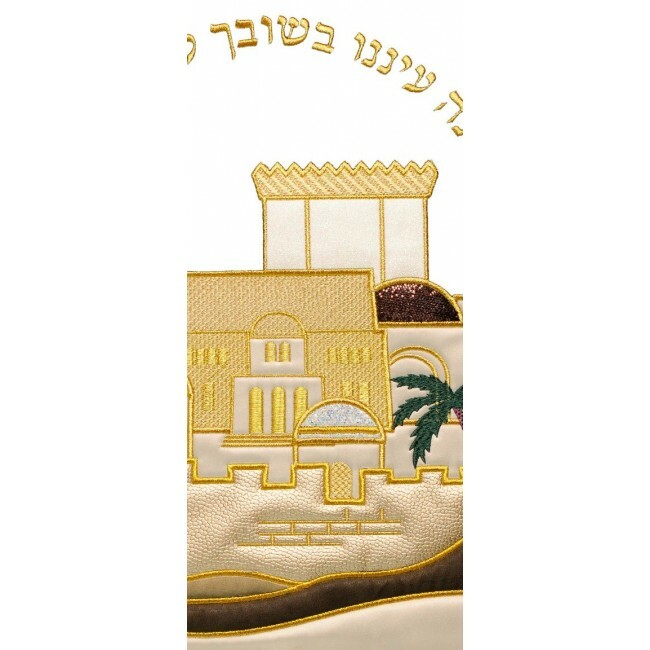 This Torah Cover embroidery depicts the gates of Jerusalem. The Torah Cover itself is made in Jerusa..
Torah Cover with Gates of Jerusalem. 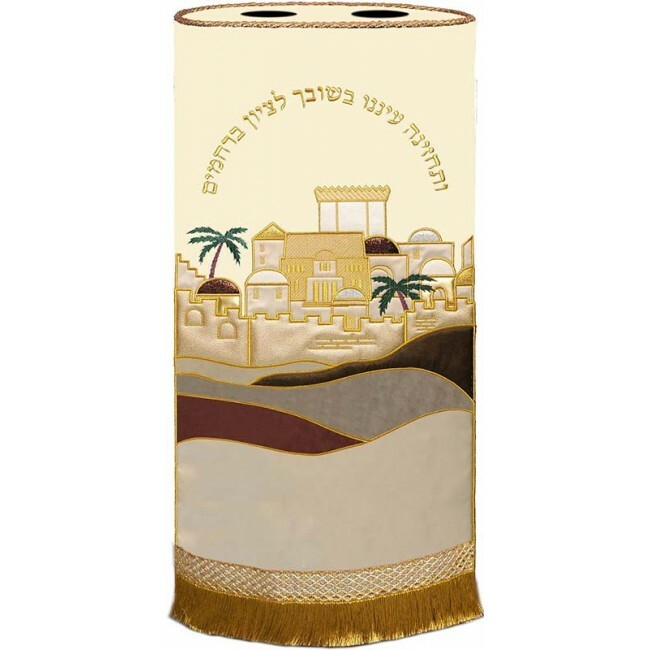 Our Sefer Torah Mantels are fashioned with open ..
Torah Cover with the western wall. Our Sefer Torah Mantels are fashioned with open or..
Hand made Torah Mantle Our Sefer Torah Mantels are fashioned with open or closed back..